It was a busy week here, with hubby in New Zealand, so I didn’t get to do too much creative stuff. I did manage to make this burlap apron and am very happy with how it turned out. My eldest son (9) made the photo – I think he did a good job! I’m now working on some more burlap Christmas items… Hope to show them here soon! 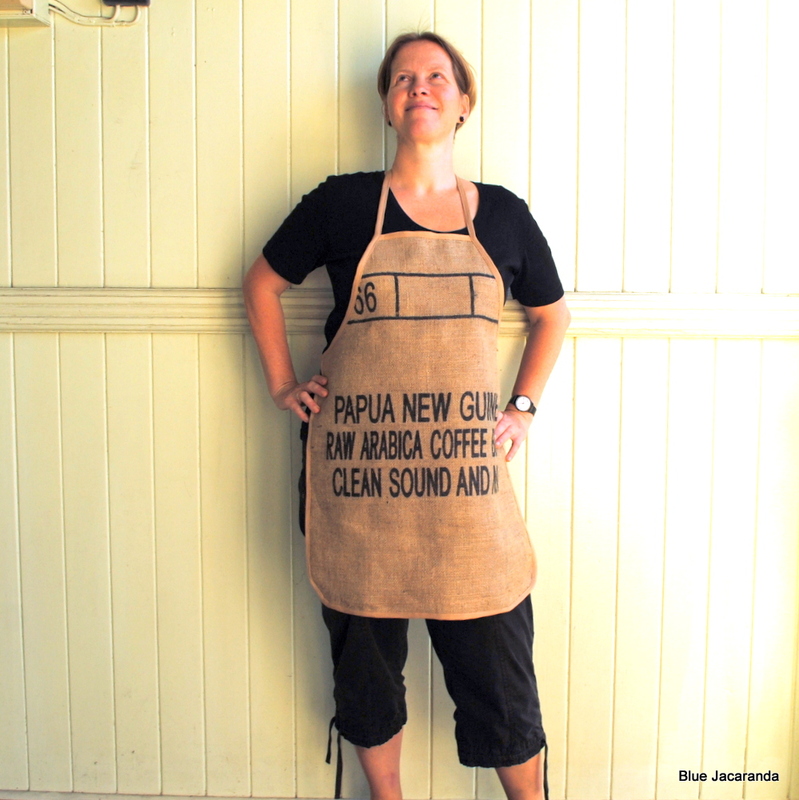 This entry was posted in Upcycling and tagged apron, burlap, home on October 23, 2012 by bluejacarandadesign.